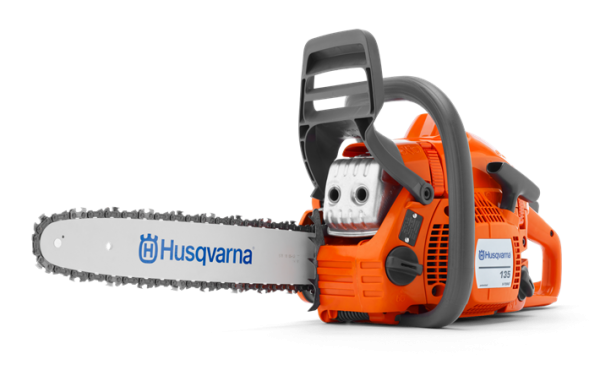 The perfect garden chainsaw for occasional cutting tasks such as cutting firewood and felling smaller trees. Exceptionally easy to start and use, the Husqvarna 135 is fitted with a side mounted chain tensioner designed to make tensioning the chainsaw chain quicker and easier. 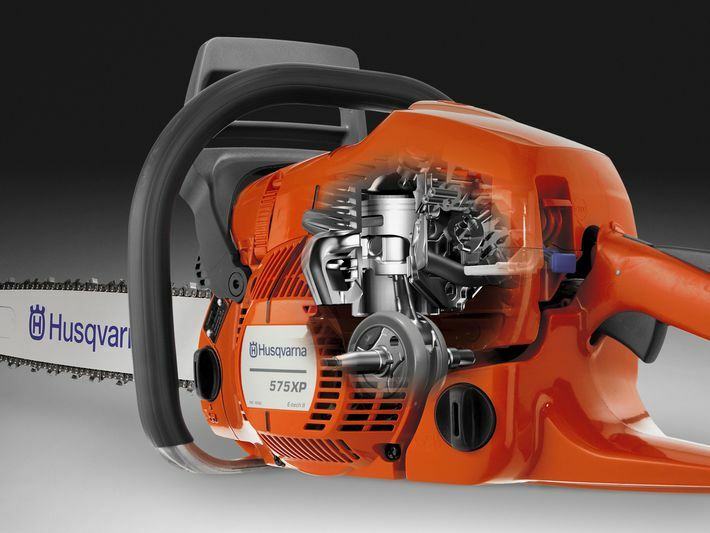 Featuring a powerful X-Torq chainsaw engine which reduces fuel consumption by up to 20% and emits up to 75% less emissions. 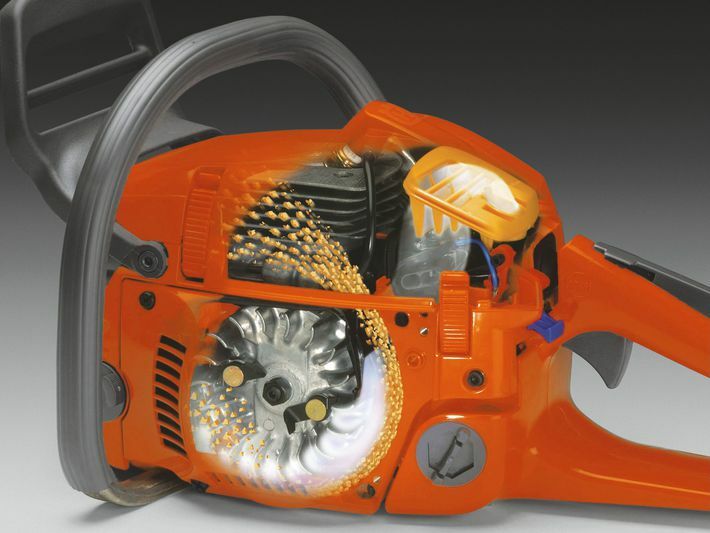 Other helpful features which make this petrol chainsaw easy to use and maintain include, an auto return stop switch which when the chainsaw is stopped, the chainsaw resets itself automatically to enable quick restarts, and a quick release air filter with snap lock cover which enables you clean the air filter in seconds, reducing stoppages and reducing your working day. Deliver lower fuel consumption and reduced exhaust emission levels in accordance with the world´s most stringent environmental regulations. 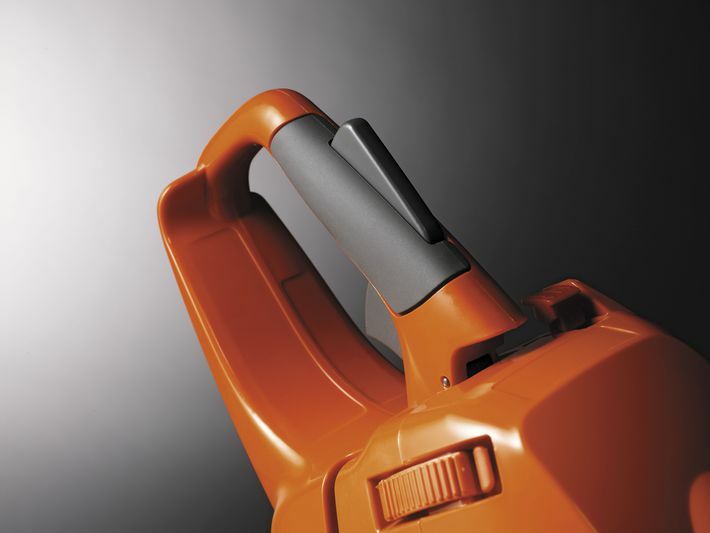 Centrifugal air cleaning system for reduced wear and longer operating time between filter cleanings. 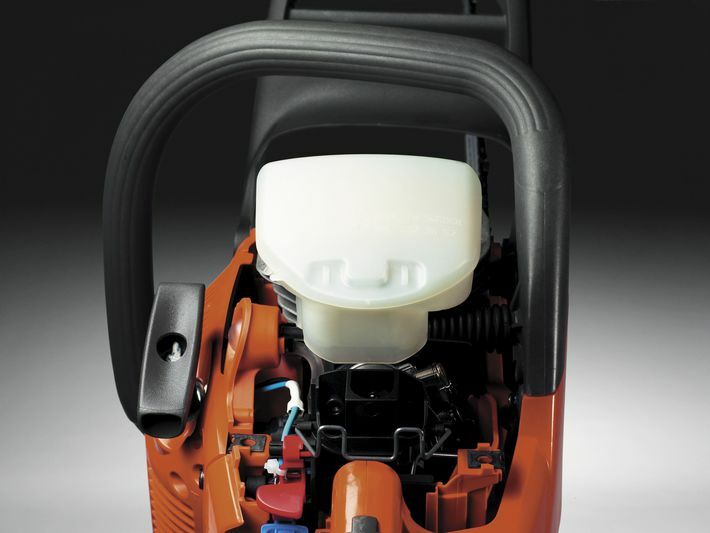 Increased comfort with soft inlay, ergonomic trigger and assymetrical handle.